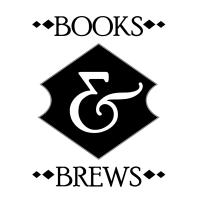 Books & Brews continues with The Circle by Dave Eggers. We'll meet at Barnett's Public House (420 Franklin Ave.) to discuss the book and enjoy the atmosphere. Working for a company that connects users' online identity with a universal operating system, sounds like a dream job for Mae Holland. What begins as the captivating story of one woman's ambition and idealism soon becomes a heart-racing novel of suspense, raising questions about memory, history, privacy, democracy, and the limits of human knowledge.